Beatrix Potter's Peter Rabbit gifts for Christenings and Baby Showers. Beatrix Potter's Peter Rabbit is a much loved children's character, and a Peter Rabbit gift is perfect for a Christening gift or Baby shower gift. These gifts are also perfect for baby's first Birthday. The Tale of Peter Rabbit has been read by generations of children all over the world. A Japanese friend tell me that Japanese children learn to read English with these books. If you are looking for a Christening gift, or a baby shower gift, I think these are lovely gifts. These gifts would also be good ideas for babies and children's birthdays. Beatrix Potter's Peter Rabbit book was first published in 1902.The classic tale of Peter Rabbit. his mother and brothers, has enchanted children ever since. It is the basis of a really good gift idea for a baby. My top choices would be the books themselves, or some of the collectibles associated with them. The china is something I love. My children we given Peter Rabbit china sets for Christening gifts, and they still have them 30 years later! There are, of course, the Peter Rabbit Books. 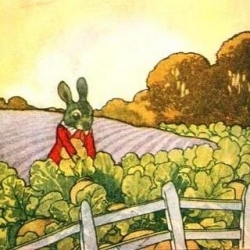 The Tale of Peter Rabbit is the most famous of Beatrix Potter's books. Here my top suggestions for Christening gifts and baby shower gifts. I still have the mugs, plates and egg cups that my sons were given 30 years ago. I'm now expecting my first grandchild, and have passed my son's mug on to him for the new baby. They did also have a money box, but that hasn't lasted! This Wedgwood china is top quality, and the designs use the original drawings by Beatrix Potter. 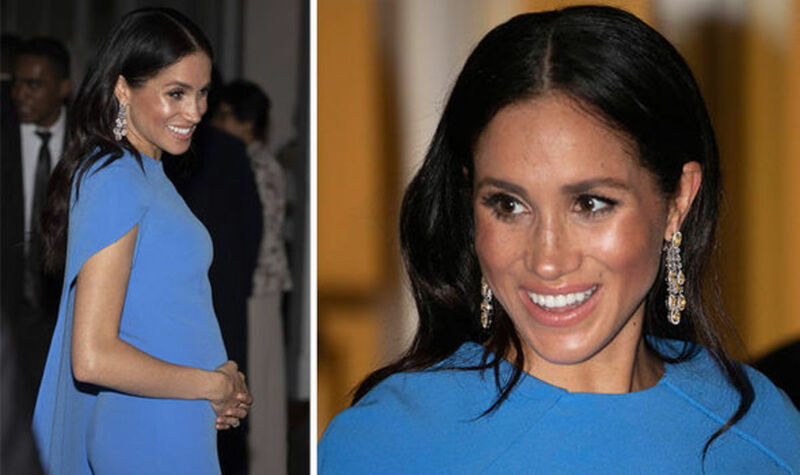 You may find other china, using adaptations of the original Beatrix Potter Peter Rabbit designs, but I prefer the originals for a Christening or baby gift. There have been some amendments to the original china , but the basic design has stood the test of time. Whichever you chose, the parents of the baby will treasure the gift. I would say, use the Peter Rabbit china - don't just keep it on a shelf! This china mug set is really is sturdy and practical. It can be a baby's favorite Christening gift. Beatrix Potter Christening Gifts - These china gifts make a wonderful Christening gift. This is the classic, original Peter Rabbit china gift set. 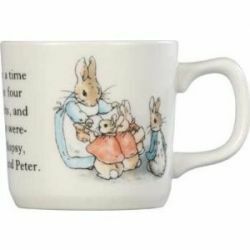 Peter Rabbit china gifts are practical- you can use this Peter Rabbit china for your baby's meals. You can also keep this lovely original Peter Rabbit china gift set as a memento. The perfect Christening gift. Although Beatrix Potter grew up in London, her family loved the Lake District and spent many holidays there. When Beatrix Potter began to earn money from her writing, she took the chance to buy her own home in the Lake District. She bought Hill Top in 1905. The Tale of Peter Rabbit- the original Beatrix Potter Peter Rabbit Book - The Classic Peter Rabbit Book,a great gift idea for baby. The Tale of Peter Rabbit by Beatrix Potter, first published in 1902, is the ideal Christening gift. or Birthday gift for baby Peter Rabbit is loved by children, and is a great baby gift to give . BeatrIx Potter's Peter Rabbit- the classic original Tale of Peter Rabbit. ideal as a christening gift, a baby shower gift, or just a welcome gift for a new baby. Lots of people have kept the books from their childhood. Give the Original Tale of Peter Rabbit, a boxed set, or a modern version of the classic for your baby shower or Christening gift. I still have the copy of the Tale of Peter Rabbit that I received as a Christening gift 60 years ago! In fact, I have most of the Beatrix Potter books that were given to me as a child.I have just passed them on to my son and daughter in law to put in the nursery for our new grandchild. Here is a photo of a collection of much loved Beatrix Potter books, that have been treasured over the years. The Lake District, where I live was the home of Beatrix Potter. I used to read the Tales of Peter Rabbit to my children as a bedtime story. Children can use the books when they themselves are leaning to read. The stories are simple, amusing and clear. The characters are fascinating. Everyone loves the naughty animals. The illustrations by the author are beautiful. 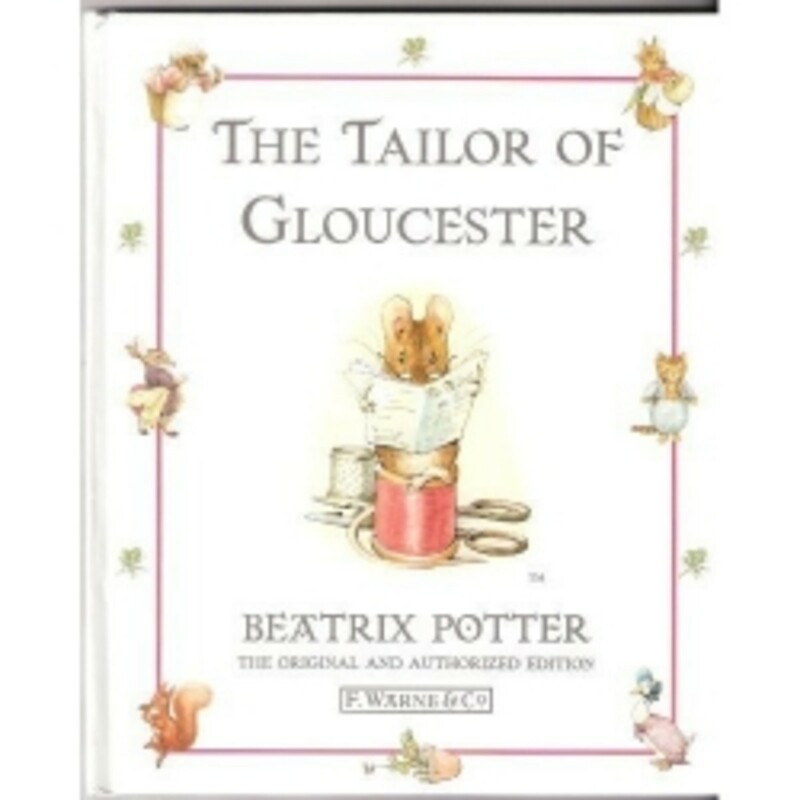 You simply can't go wrong giving a Beatrix Potter Peter Rabbit book as a Christening gift. This biography by Linda Lear gets 5 stars from its readers. Beatrix Potter was an extraordinary woman. Holding out against those who told her that drawing and writing were not suitable occupations for a wealthy young woman, Beatrix went on to become a riich lady in her own right. In her second home, the Lake District (where I live) her legacy of preservation of the coutryside, and of the local Herdiwcik sheep, still lives on today. This very highly rated biography would make an excellent gift for parents who have fond memories of Peter Rabbit from their own childhood. I love Beatrix Potter's Peter Rabbit- do you? - Please don't go without leaving your message- thank you! I loved Peter Rabbit books when I was a kid! Great Lens! What would our lives be without Beatrix Potter and Peter Rabbit. I still have my father's Potter books from when he was a little boy and he has just turned 78! Blessings. 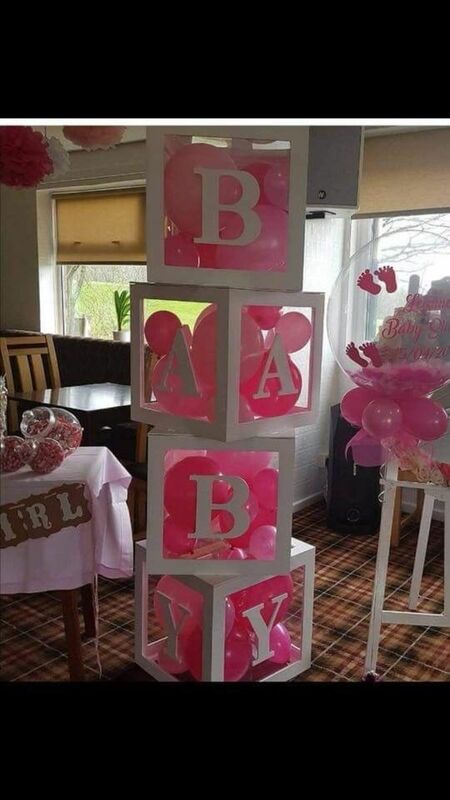 What a sweet idea for a christening gift. I love Beatrix Potter!! Saw a movie recently about her life. it was so cute. forget the name of it though. Yes, I sure do think these are lovely, and make great gifts too. @elizajane202 lm: I hope you enjoy them. Thank you for your visit. @Joanna14: Knitted! Thanks for the visit. Yes- I love him, knitted him, Jemima duck and Jeremy years ago when I couldn't resist the patterns I found in Women's Weekly mag. I still have them. Lovely lens! I have the exact book set myself that you show in the above pic... :o) I was given them as a child and still have them. They're great stories. Thanks for sharing! I have loved the stories about Peter Rabbit all my life. My grandmother was very good at doing animal cut-outs with paper free hand, she showed me how and I learned to do it by making rabbit cut out free hand. My grandkids think its fun and I hope they learn to make rabbits too. Nice lens, thumbs-up! 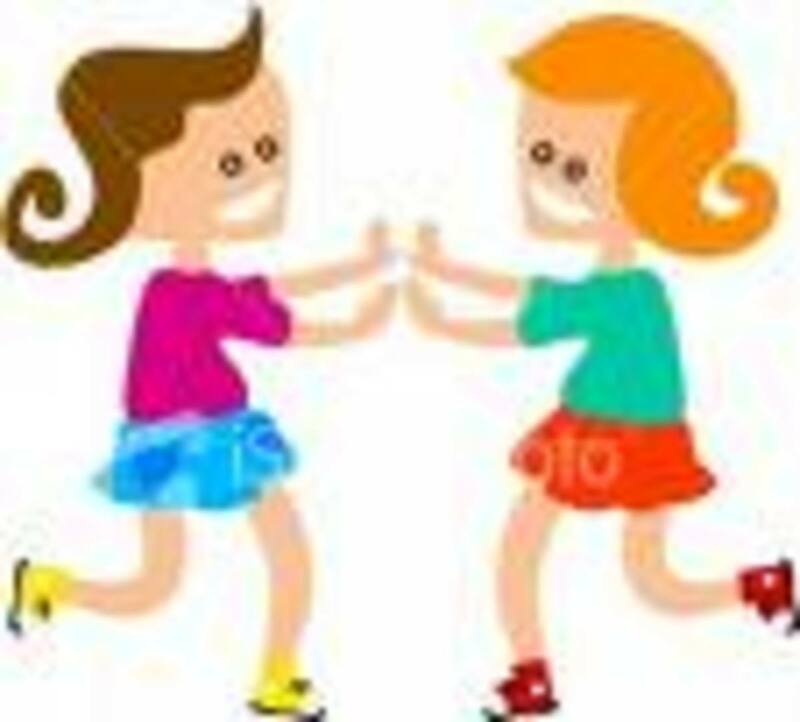 You definitely have niche topics down to a science.... it is something that I really have to refine. Great gift ideas. I love Beatrix Potter ever since. I love Beatrix Potter too! I so love your lens...thank you for sharing! @GonnaFly: Thanks- glad you enjoyed your visit.! What a beautiful selection of gifts. I read the whole Beatrix Potter collection to my children when they were young. We loved it. @Sylvestermouse: Thanks you very much! So happy you like this- a Blessing! Wow! I love Peter Rabbit! 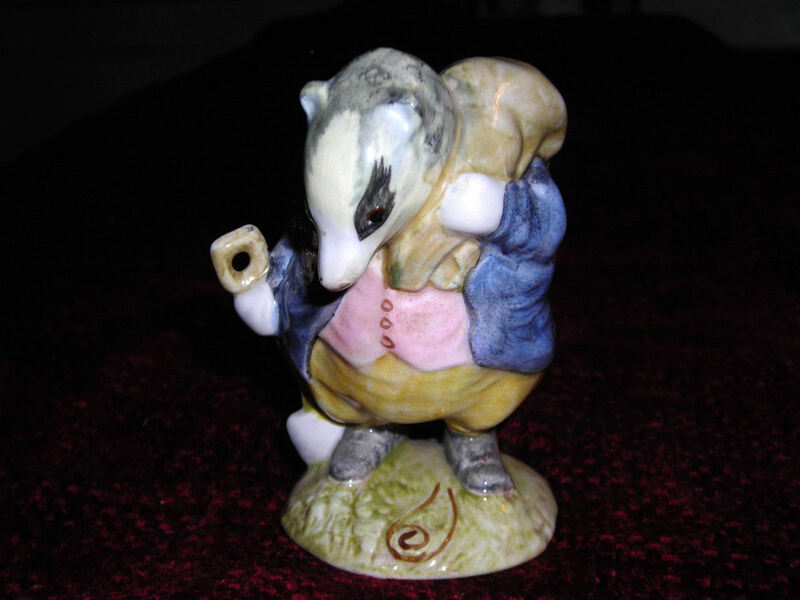 All of the Beatrix Potter items are wonderful! I have never seen the flower pot before. I really like that! Angel Blessed and added to my Squid Angel Mouse Tracks lens.